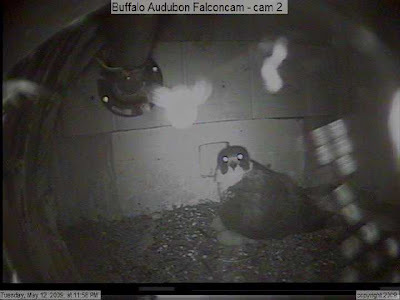 The cams for the Statler nestbox were back online Tuesday. During the ten days down time, four eyasses appeared. Around the midnight hour, mom awoke from her sleep and seemed agitated by what looks like ghostly goings-on.